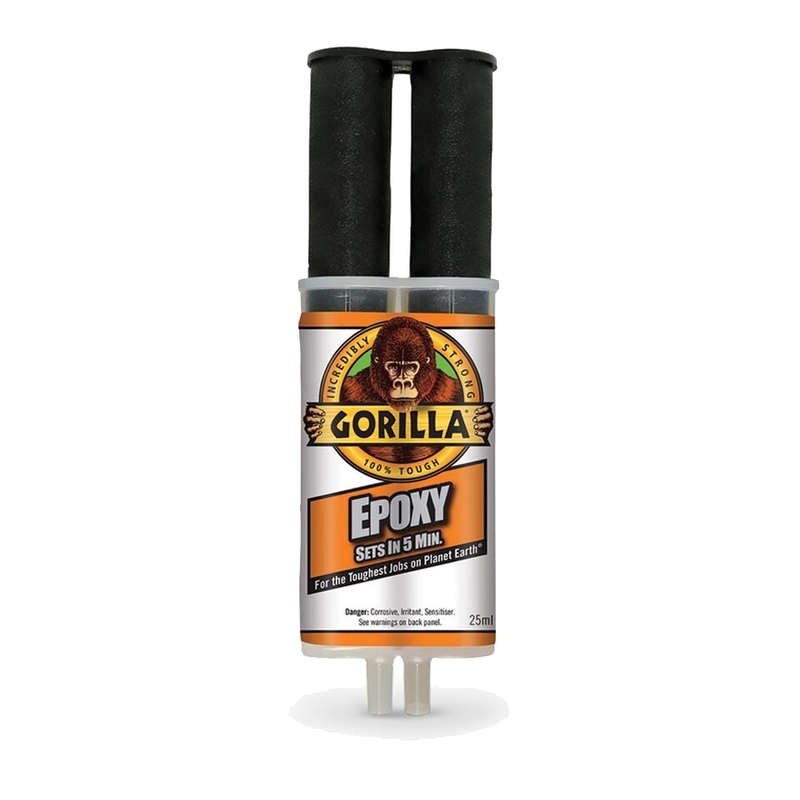 Gorilla 2 Part Epoxy Syringe with impact tough formula, hybrid technology improves overall adhesion strength and flexibility. It fills voids and bonds uneven and vertical surfaces and has a 5 Minute Set allowing plenty of re positioning time for the perfect fit. The Epoxy is able to withstands moderate exposure to water with the separate barrels of resin and hardener keep epoxy from hardening. Syringe dispenses evenly and includes a cap for multiple uses. It will not break down from exposure to common solvents and has a Low VOC and Non toxic Once Cured safe for everyday handling.